If you like this story, consider getting a copy for your self. 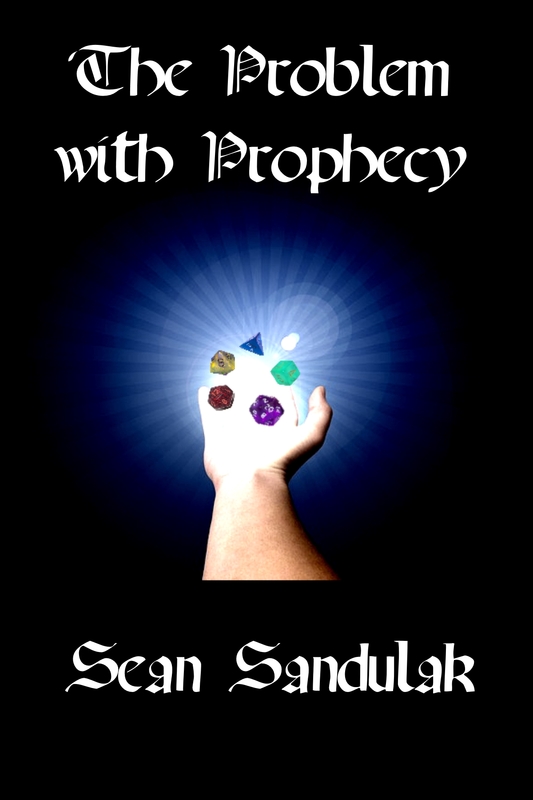 The Problem with Prophesy is currently selling pre-orders at Inkshares. I’ll be publishing the first few chapters here as a teaser. If the book reaches 750 pre-orders, it will receive professional editing, design, distribution and marketing. For more information visit Inkshares.com. “She makes a good point,” said Rieki. Cravan, still flustered, was looking for a fight. He twisted the shaft of his axe in his hands, feeling the weight of it. Rieki drew her bow and notched an arrow, ready to let fly if things went bad. Cravan marched forward in front of Mor and stood only a few paces from the enraged father. “I’d like to see you try!” Suddenly he was falling down to the ground. As Cravan had readied himself for the attack from the front, he had missed the elf sneaking up behind him. Before he could even start to complain, a wave of purple mist passed above them and struck the farmer and his daughter. They both collapsed on the farmhouse’s porch, fast asleep. When Rieki had returned with the horses in tow, Mor and Cravan lifted the sleeping girl onto a horse, and Rieki tied her to the saddle so she wouldn’t fall off. For good measure Cravan gagged her mouth with a wad cloth torn from the hem of her dress. It was going to difficult enough smuggling the girl out of the valley without her calling out for help. When they were confident that she was secure they left the farm and headed west, sticking to animal trails and unused back roads to avoid attention. It was almost nightfall when they came to a small clearing in the woods where they could camp. The girl had woken an hour or so before and had immediately tried to get free of her bonds. Mor couldn’t magic her again without knocking out the horse as well, so they left her to struggle in vain. Rieki knew a thing or two about tying people up; the girl was not going anywhere soon. Cravan made a passable stew from the supplies they had brought. He did all the cooking, not because he had a great love or even skill for the culinary arts, but because he didn’t trust either the thief or the mage not to put something in his food. Mor and Rieki had pulled the girl down off the horse and were guarding her. When Cravan approached her with a bowl and a crust of day-old bread, Mor pulled the gag from her mouth. “What kind of trickery is this?” she asked.